With the ever growing number of websites in the world, the competition on Google search result pages is growing more and more each year. This means Google’s algorithms are constantly being updated to provide the most relevant results for search queries all over the world. But don’t worry – with a solid silo structure your site won’t be left unnoticed. Before we unbrick the SEO silo structure concept, let’s have a look at the big picture of search engine optimization. The truth is that both site owners and Google algorithms are pursuing the same aim – to create a positive user experience (UX). When a user types in a search query and arrives at a page with the exact product/service he was looking for, at a fair price, located nearby, and with a seasonal discount available, they feel happy and satisfied. This in turn forms a positive UX, making them want to re-experience it again and again which we all know, is good for business. But before landing on the precisely relevant page of your site is an option, you need to thoroughly construct its silo structure brick by brick. The cement is solidifying already so let’s go! The basic law of big data states that the better data is structured, the easier it is to work with, and the more profitable it is in the long run. If we think of Google as a big machine whose algorithms are designed to process big data (the sites), everything falls in its place. So, if we want Google to process, index, and rank our sites correctly, we need to organize data in the correct structure. Right, the silo structure. The main idea of the silo structure is to group content with the main topic (keyword) on top, and dependant topics (keywords) branching from it hierarchically. This ensures strong semantic relevance for each content group and results in better page rankings for each search query (keyword). 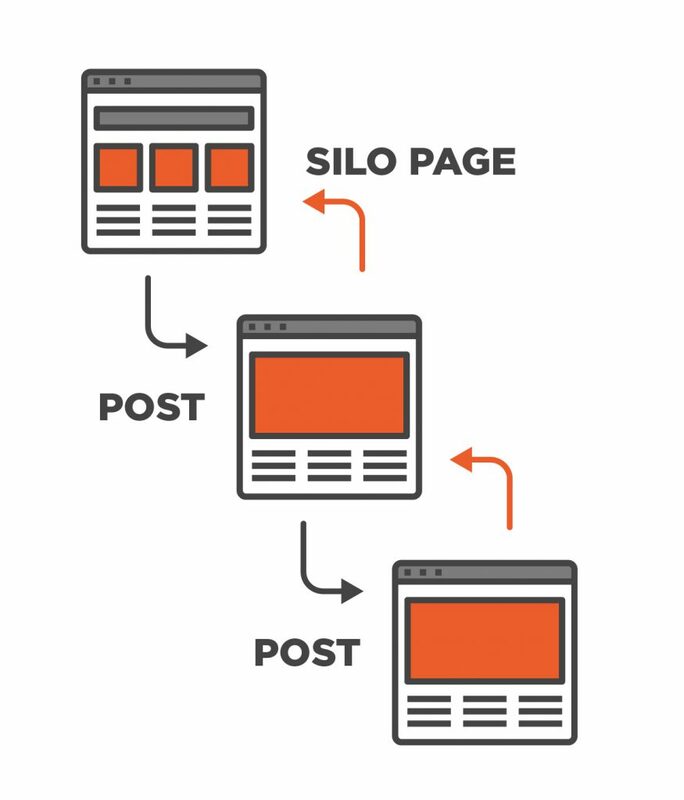 Practically, when you structure your content via the silo principle, you pick out the main pages of your site you want to drive traffic to – in ecommerce these are usually the products & services pages. The so called silo pages are then grouped and organized with related content around them via a nifty little trick called crosslinking – ecommerce related content is usually represented by subcategories or blog pages. By navigating to any of these silos, you’ll be taken to a page that outlines the subcategories in an orderly fashion. Digging deeper into these subcategories will then reveal the related content that has been keyword-optimized to resonate with the main silo. Such a set of content groups helps you to cover all the topics relevant for your site by breaking them down into smaller and smaller categories (blog posts) until you cover all search queries related to your site. 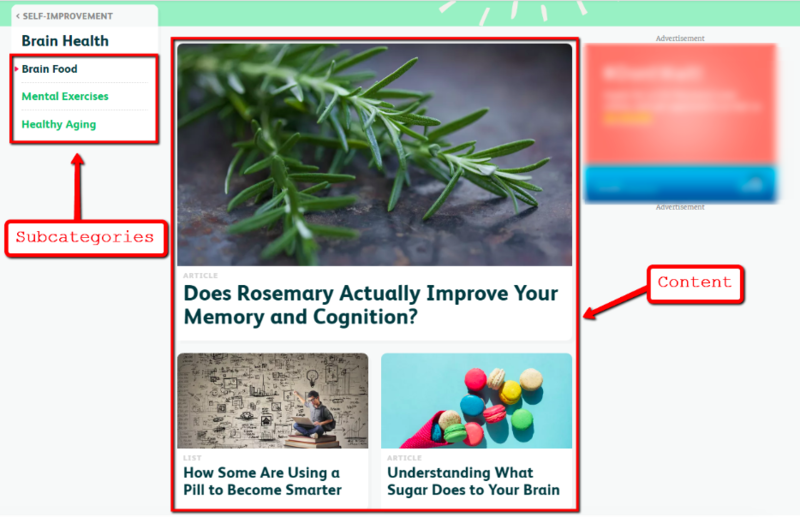 It also lets Google’s algorithm RankBrain understand what your site is about, what are its notional content groups, and what the hierarchy looks like. 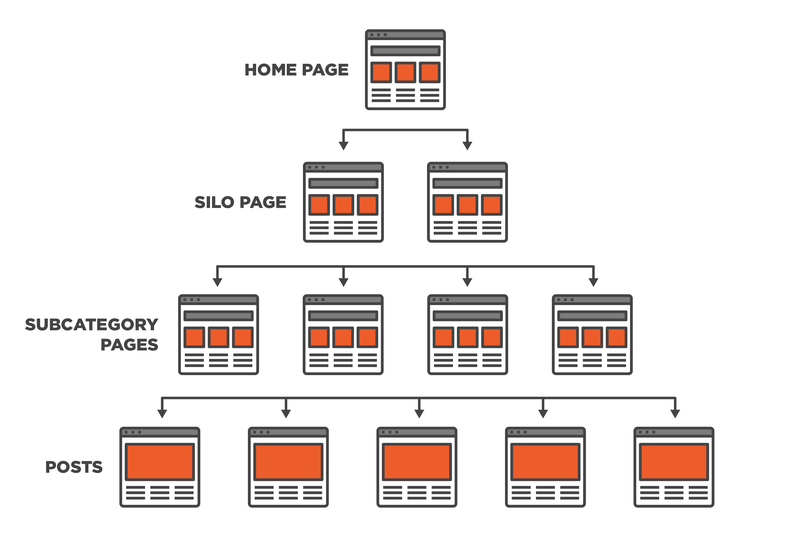 The perfect SEO silo scheme appears as tri-level structures, taking into account the UX principle of 3 clicks – that each piece of content should not be farther than 3 clicks from the home page. How to Create Silo Structure? To conduct a keyword research you need to choose an instrument: free Google Keyword Planner, paid Ahrefs, or the one you prefer. Type in the main keyword ‘buy sofa’ – via this keyword searched in the US and Ahrefs shows us 1,375 keywords by the phrase match – you can even export all the keywords it populates to a spreadsheet. Ahrefs allows you to review keywords that have the same terms, related keywords, search suggestions, and even questions with which you can make the FAQ page later on. Thoroughly look through the spreadsheet, sort keywords by groups, and delete extraneous ones that have nothing to do with your products. 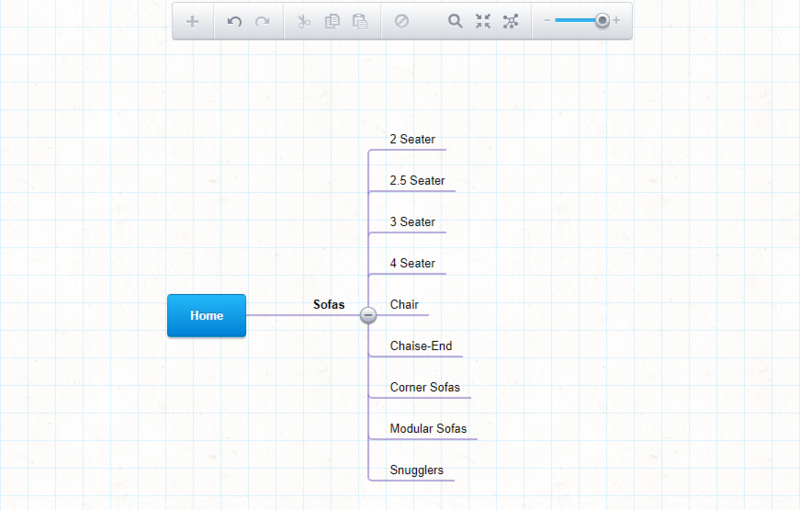 It’s convenient to create a silo structure mindmap too, below you’ll find an example from https://mind42.com. Mindmaps are extremely helpful when you’re building your site structure – they help to organize everything within an interface on a planning stage, and estimate the number of pages to create, their hierarchy, interlinking, etc. All remaining related keywords can be used for blog posts, interlinked with the parent category or subcategory depending on the keyword. Please note that the silo structure should also be reflected in the URL. In this case it would be: domain.com/sofas/watermelon_sorbet-pinks-snuggler. In order to predict an estimate of the organic traffic your SEO efforts can drive to your sofa pages, pay attention to the keywords’ volume and difficulty. It makes sense to set the most difficult keywords to the silo pages of the first level as they are the hardest to rank for, and set less difficult ones to the subcategories, blog posts, and filter pages. Thanks to this, we can see that the highest demand for snugglers in the US over the past year was in November, which can give your digital marketer a thought about launching an advertising campaign before, during, or after that time. Google Trends also shows related keywords and search queries which may also become a source of insights on fresh content for your site. Such interlinking is also known as a restrictive internal link structure. This makes Google crawlers index each Silo from the top to the bottom, and only then move to the next Silo; rest assured that each and every page of your site has been indexed. Also, the number of internal links stays healthy, and topical relevance is preserved – it’s a win-win structure. The top navigation menu should be linked only to the top Silo pages where you want to see an increase in traffic. Sidebars on each Silo page should also preserve the restrictive structure, so it’s better to create separate sidebars for each Silo page. SEO. If content is king, Silo structured content is the emperor of the galaxy. And what gets the emperor? Better indexation, stronger relevance, better distribution of page juice among the pages, and consequently higher rankings and more organic traffic. Customer engagement. It’s much easier for users to navigate within the well-structured pages on the topic of their interest, interlinked with each other. No need to leave the site – everything is composed in one place. It’s always easier to consider the semantic structure of your site during the development planning stage, rather than to rebuild the existing site from scratch. So, plan the Silo structure of your site as early as possible and sort the Google results page by your relevant search queries. Need help with keyword research? Fill in the contact form below, and we will cover you on that. Two ways to implement a blog in Magento 2. Which will you choose?